darkSpyro - Spyro and Skylanders Forum - Skylanders Toys and Merchandise - US Street date broken! Giants Starter Pack in hand! 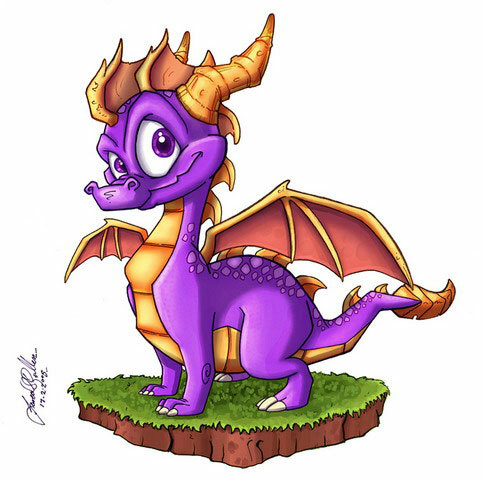 darkSpyro - Spyro and Skylanders Forum > Skylanders Toys and Merchandise > US Street date broken! Giants Starter Pack in hand! 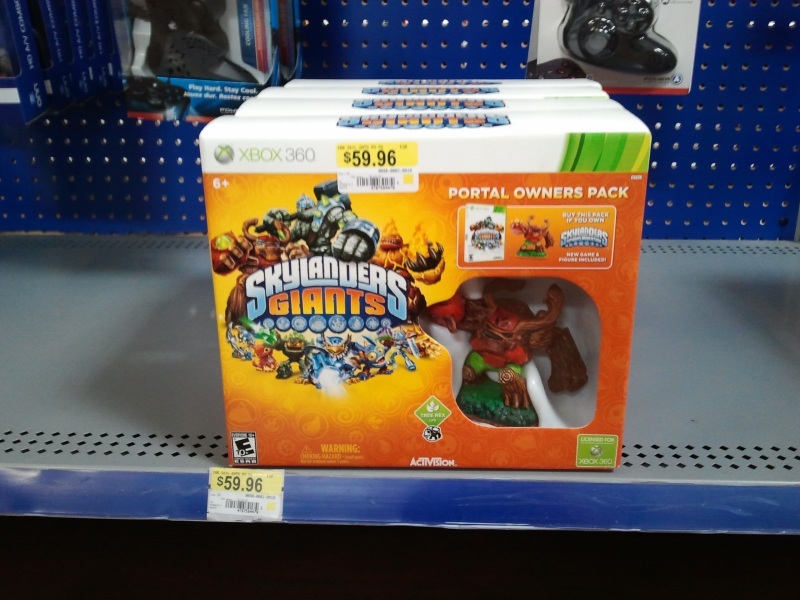 I walked into a Walmart with my son and the Wii Giants Starter Pack and XB360 portal owners pack were on the shelf! I bought the Wii starter pack with GITD Cynder. I am posting this via cell so I will post complete harrowing checkout story and pix when we get home. Sorry guys for the long wait. I had an obligation that I had to fulfill today and I was out and about right before it when we came across this Starter Pack. We saw the three Wii Giants Starter Packs on the shelf, grabbed one (I have ZERO interest in scalping) and talked a bit about what was the best course of action to take. We decided that taking it to the electronice checkout was out of the question (this Walmart has a very open electronics dept and you can walk out of it with electronics without a problem) because we felt that the electronics drones would take it away from us. We proceeded to self checkout and the machine told us "Restricted Product - put aside and continue your checkout" when we scanned the game. I motioned for the self checkout drone and he tried to scan it and override the self checkout machine with no luck. He took us to his master register and attempted to scan it there and it said "Not eligible for sale" and "Restricted Product" and various other messages of the same nature (essentially telling him DO NOT SELL THIS PRODUCT!) so he went and conferred with another employee for a minute (a floor manager I think) and then came back and (without scanning it again) just entered a product into the register, typed "Skylanders" and the price of $74.96. I gladly paid for it and I asked him if he had deactivated the security RFID and he said that he would just 'wave us through' if the alarms went off. They did not and it was really hard for my son and I not to RUN out of that Walmart! 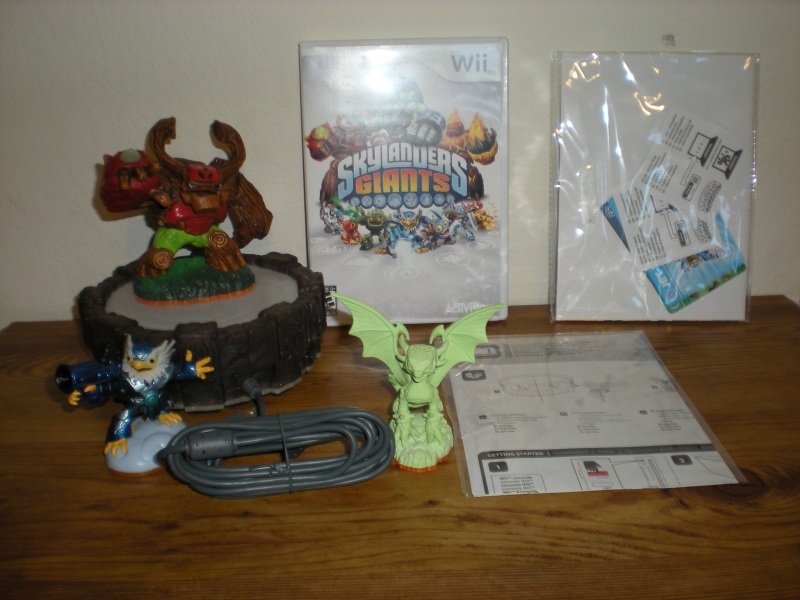 ..and finally here is a picture of the unboxed Wii Giants Starter Pack (with GITD Cynder). Note the new Wii portal with a cable this time! Again, I apologize for the long wait for the pix. Now - on to playing the game!!! For anyone in AZ, I got this at the "Norterra" Walmart #5190... Enjoy! Really or are you trooling us?? jeeeeeebus...... it was like 7 days to go... heads ar gonna roll! I don't believe this, simply because even if they had put it out on the shelve, it wouldn't let them ring up. I bet he is. Pics or it didn't happen. GITD Cynder is Pre-order ONLY! Sheesh. Calm down guys. If he's trolling, who cares? Honestly, I like to give people the benefit of the doubt, so I'll play along until I'm convinced otherwise. The fact that it was such an odd selection of Wii Starter pack and XBox Portal Owners Pack is enough for me to think there might be some truth to this. Seems oddly specific. I was also never under the impression that the GitD Cynder was a pre-order exclusive. I've always just seen "while supplies last" on the ads. 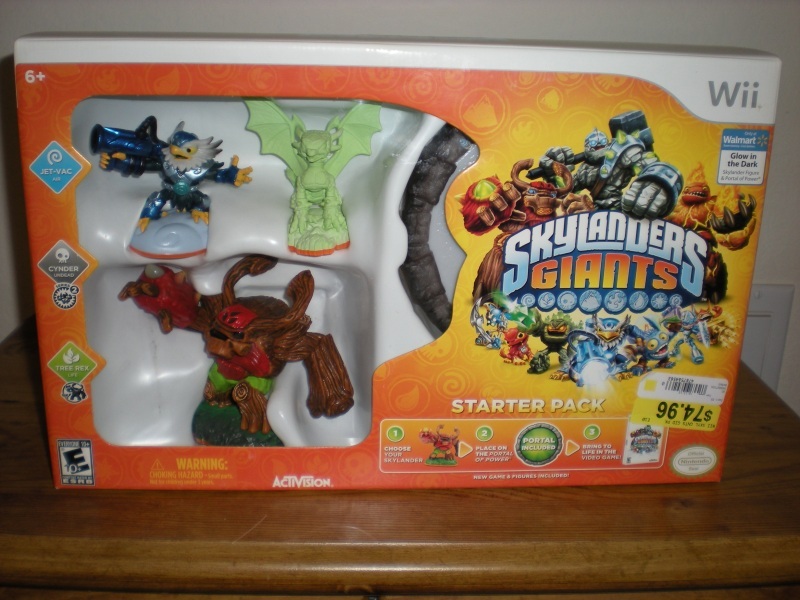 and : The three greatest Skylanders out of them all. Could be, but that doesn't mean he is. I hate how everybody just instantly assumes someone is a troll if they say something that's somewhat hard to believe. There's really nothing to discuss in this thread until he returns, so we should just ignore this thread until the OP posts something. That doesn't mean it's only a pre-order item. I'm sure they'll still sell it after release. I walked into a Walmart with my son and the Wii Giants Starter Pack and XB360 portal owners pack were on the shelf! I bought the Wii starter pack with GITD Cynder. Anyway, it's great that you found it. I would suggest selling it on Evilbay, then getting a new starter pack on October 21st. You'll have lots of money. I think I'm going to the Mart of Wal right now. YESH! God I hate scalpers so much!!! Just went to my Walmart, there was nothing . Just the display that the game is being released on 10/21. I am in Jersey, so very possible but he never answered what state he was in. He lives in Arizona and so does my walmart. I put one on layaway today for 3DS but got to see the physical copy. I just edited the first post.. Sorry for the delay. Nice! Wonder if people will end up linking to this topic to show store employees that the street date is broken? Can anyone confirm a broken street date at any of the Southern California Wal-Marts? I wish Acti would bring out the game already, most stores have stock with the game and Wave One in already... BUT I GUESS THAT'S THE MAGIC OF BOOKING IN DATES! Poor Australia. Even when they get something first, they don't get it first. Well the west coast gets the stuff first as the items are delivered to west coast ports and trucks start moving east. Wouldn't be surprised to see more of these on shelves as we get closer to the release date. That or this Walmart screwed up. Must... Not... Three... Days left... Hold back god mode...! At least he didn't get the 3DS version! By the way, is it just me or does that Jet-Vac figure have derp eyes? My two also had derpy eyes. I am just waiting for one store in my state to break street date and then all will..